DermMedica has the services to help you restore your true young look, whether that means rolling back the signs of aging or removing the most stubborn belly fat with the power of Coolsculpting. In Kamloops, you may not be able to find the advanced services we offer, but that’s okay because DermMedica is just a short drive away. And our services aren’t just about restoring beauty. We can also help you address frustrating skin conditions and disorders. We provide medically-approved treatments that can treat skin conditions such as acne. If you’re currently unhappy with your skin or have a skin condition you’d like to address, it all begins with a consultation. You can trust the recommendations you receive because DermMedica is a doctor-led clinic with a professional staff and the most modern non-invasive technologies. Our clinic is home to some of the latest technology of all types. 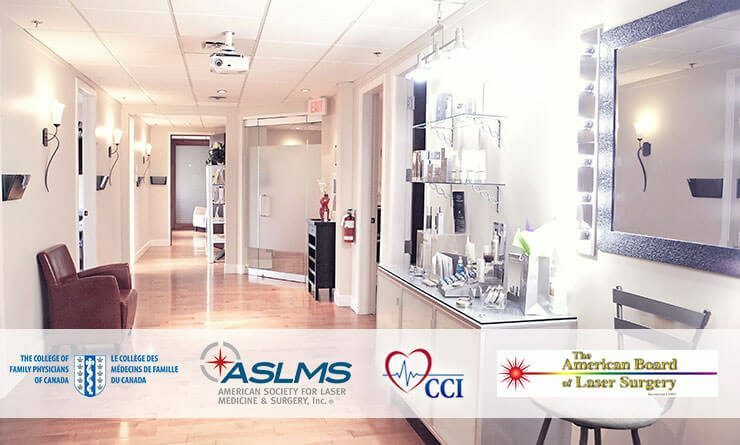 Learn more about how we can help you with aging signs, medical conditions, and laser hair removal. The signs of aging caused by exposure to the sun, constant friction or just time itself are not necessarily permanent. With lasers, redness can be eliminated and soft fresh skin can replace parts that have become rough and calloused. Lost volume in the face can be addressed with the latest injectable fillers. A carefully-planned injection of Juvederm smooths out wrinkles and is one of the most popular treatments among clients In Kamloops. Botox remains one of the most popular ways of dealing with some of the most noticeable wrinkles—those on the forehead. It is also be used now in new ways to treat skin under the chin. Our treatments are designed to assist patients who are concerned about many different skin conditions. We provide care for patients who are managing Rosacea, Melasma and recently, Hyperhidrosis. It’s all available within a short drive of Kamloops. Vein clinic services are also available, with a number of treatments that are designed to reduce visibility and resolve the pain caused by out-of-control veins. Amazing progress has been made in the science of lasers. Many skin conditions that were considered untreatable 10 years ago, can now be managed or even eliminated with the right treatments. Modern skin care treatments are extremely effective, and safer than ever before. If you’re tired of constantly shaving or waxing, we offer laser hair removal. Kamloops isn’t known for its beach weather, but our hair removal treatments are effective for any part of your hair. Remove it because you want to vacation, or because you simply don’t want to deal with hair any longer. Your legs will be smooth all year long! And if you no longer heart Johnny, we can help you with tattoo removals, too. 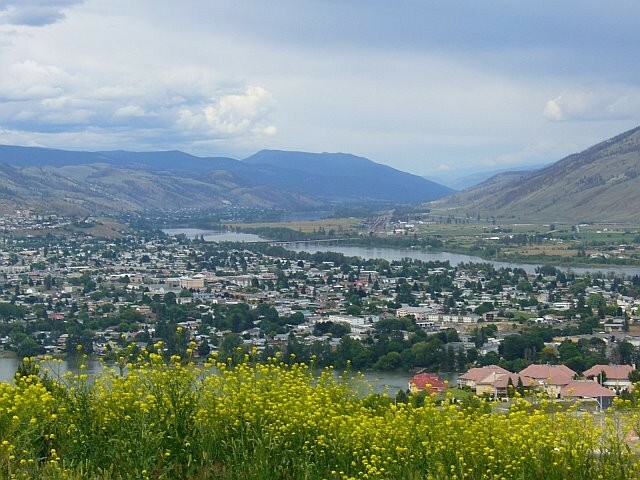 Dry skin is a very common skin condition in Kamloops because of the climate. Though many lifelong locals love the cool temperatures of the area, your skin may respond differently. Constant exposure to cold weather, or even keeping your skin stuffy by wearing heavy lawyers, can result in skin that’s dry and scratchy. It can seem hard to win when either leaving skin bare or covering up too much can cause the same problem. But when dry skin does strike, and form into permanent patches, they can at least be removed. Call for a consultation to find out how we can bring fresh youthful skin to the surface. A healthy blush is always charming, but sometimes the redness doesn’t go away when you’ve come inside and relaxed after your latest outdoor adventure in Kamloops. The cold can cause redness, and so can the fact that many people fail to remember to use sun protection when it’s cold. Sunglasses in the winter can prevent damage to the sensitive skin around the eyes. When that skin, or any skin on the face, goes unprotected, red spots can develop that never go away. Not necessarily never, though. They may be removable with modern laser treatments that completely refresh the skin. Kamloops is a place of adventure, and few people here are strangers to falling off bikes, or fighting for a good grip on a rocky ledge. That kind of pressure, and constant scraping against your arms and legs can result in itchy patches of skin that, for whatever reason, won’t heal properly. Itchy patches of skin can be frustrating. If they are not resolved quickly, scratching can make the area of the patch even larger over time. It may be possible to remove these patches so that they never bother you again. If the skin can be renewed with the fresh layer underneath, it may finally stop itching and heal properly. The best treatment for you can only be determined after a close examination and a consultation with our doctor and clinic founder Dr. Crippen. Schedule yours, today. Please call if you have any remaining questions about how we can help you get the skin you’ve always wanted. It’s important to feel comfortable in your skin, and that starts with healthy skin and maintaining a healthy complexion. At DermMedica, we understand your worries and concerns. We are here to help. Our goal is to make sure we provide a safe and comfortable environment where our clients can come in and get honest, but often exciting answers about the different options available to them. Regardless of your skin concerns, we can help. We hope that you’ll contact us today.